The bloggers participating in this challenge really pulled out their best tricks. The dried chile recipes they brought to the table are stupendous and cover a huge range of dishes. The Chocolate Azteca Cupcakes from Clearly Delicious were voted first in our poll, but were closely followed by the Tres Chiles Chocolate Cake with Hibiscus Habanero Caramel from Foodalution. Check out all of the delicious submissions below. 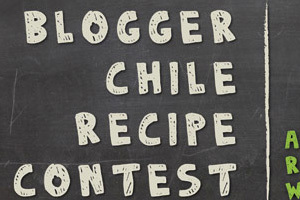 Like these chile recipes? Find even more inspiration in our chile recipe collection! I tried voting for The Joy of Caking: Kickin Habanero Cheese Crackers, but it is not showing my vote. Can you please tell me why this is? To avoid vote fraud, we only permit one vote per IP address. Sometimes this causes problems in offices, schools, etc, if their network is routing all their users through a single IP. We aren’t really sure what’s causing your specific issue…but you might try voting from a different location. If you voted at work, try voting from home. voted for Home cooking memories..
hmmmmm, Just wanted to point out that “Clearly Delicious” just gained around 30 votes in the last 15 minutes. sorry for being annoying but my “fairness” sensor just kicked into gear. How is that possible? If Clearly Delicious gained 30 votes in the last 15 minutes that’s most likely because I didn’t get to e-mailing my subscribers about the contest until today. Lunchtime is a peak time for my blog, so I’m assuming this was it. I promise there’s no issue of fairness on my end and you’ll find unique votes from all over the country (US) and world. Many thanks again for the Chilies! I’m super happy to be involved with another Marx Foods contest! Wow Azteca Cupcakes really picked up thier votes this morning they only had twenty… wierd. Hey Guys, It’s Justin Marx. Since there has been a little flutter of dialogue about Clearly Delicious voting performance, I just wanted to check in with you all. I checked the vote logs and it all looks legitimate to me. She may have just reached out to her following, but everything is looking straight. Don’t forget … there are two winners. 1 selected by the poll. 1 selected by YOU. So, if you haven’t emailed your votes to kate, please do so by tomorrow. Several people have told me they’re having trouble voting…the page gets stuck on “loading” and never goes through to the results…anyone else heard of any issues? Wow, did I miss something or were sour grapes the main ingredient in this recipe contest?